Your annual well woman wellness exam offered by Complete Healthcare for Women in Richland, Washington, is an essential checkup that screens against disease and protects your health. By being proactive and going every year, you can rest assured that you’ve done everything you can to detect any potential health issues and prevent future conditions from occurring. 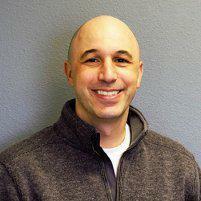 Come see Dr. Richard Lorenzo to also ensure you have the best reproductive health possible. The American Congress of Obstetricians and Gynecologists recommends a woman begin getting annual pelvic and breast exams at age 19 or after first becoming sexually active, whichever comes first. Women should receive their Pap test starting at age 21. Even if you’re done having children or are menopausal or perimenopausal, an annual exam is important to screen for certain cancers and talk to your doctor about managing your symptoms. What should I expect at an annual exam? You may also receive vaccinations according to your specific risks and age, which can include the HPV shot. Additionally, annual exams may include gonorrhea, chlamydia, and HIV tests for sexually active women from age 19 to 64. The Pap test, or Pap smear, occurs during your annual exam. The doctor takes a small sample of the cells from your cervix using a swab or small brush. These cells are processed by a laboratory to test for abnormalities that could indicate cervical cancer or the risk of developing it. The Pap test occurs once every three years if your results have been normal. If you’ve had an abnormal Pap test in the past, Dr. Lorenzo may recommend more frequent testing. What questions come up at an annual exam? Dr. Lorenzo will inquire about your sexual history. He’ll also discuss family planning and birth control, if relevant. Sometimes discussing gynecological issues can be uncomfortable, but Complete Healthcare for Women provides a compassionate and understanding place to raise your concerns. What does it mean if my cycle has changed? Changes in your cycle may occur due to stress, illness, or pregnancy. If you’re in your 40s or early 50s, it could be perimenopause, the time leading up to menopause. Sometimes, perimenopause can start as early as your 30s. You’re considered postmenopausal after you’ve not gotten a period for a year. Discuss how to manage these symptoms with Dr. Lorenzo. Learn more of the top reasons why you need an annual exam. Click here!